Thank you, Temple Rodeph Torah, for five amazing years! Thank you for celebrating those years at the June 14th Rock Shabbat. I look forward to many more years, music, experimentation and celebrations! This Yom Kippur we continue asking the question we started asking when we launched the Center for a Jewish Future: what does the Jewish Future look like? And what does Judaism say to me, today, in 2013? Judaism is not a religion of the past; it is a living religion which changes to meet the needs and realities of every generation. On Yom Kippur we say many of the same prayers Jews said a hundred years ago. Yet we also add new prayers, and say many of them in English; men and women sit and pray together; we have a female cantor singing from the bima; we drive to the service and pray in a temperature-controlled environment (most years). Our traditions reflect many of our modern values, but what about the future? On Yom Kippur afternoon we are going to explore this question: what about the future? Today we communicate differently, and we create community differently. Many people find their partner in life through internet dating, and they find or maintain their longest friendships through a computer. How does our worship reflect this difference? Imagine coming into worship knowing no one or just the one person you arrived with. Is this community? Even if someone introduces themselves to you because the rabbi makes them, is this community? Now imagine something completely different. Imagine being asked what you believe, and being able to share your beliefs with others in the room. Instead of reading prayers which you may not accept – or even understand – imagine an open, anonymous discussion about what you believe, what you hope, and yes, what you want to pray for. On Yom Kippur afternoon, instead of asking you to turn off your phones, we will ask you to turn them on. We will invite you to tweet your thoughts as Rabbi Weber and Cantor Alexander lead an interactive discussion of what it means to you to be Jewish today… and tomorrow. What will result from this discussion? We don’t know. We are not doing this to tell you anything. Instead, we are coming together to listen and share. We do hope that by the end of the experience you will feel closer to those around you – and, if we do it right, to Judaism as well. If you feel it is not proper to use a cell phone on Yom Kippur, we offer an entire day of more traditional services. But this experience is for those who don’t like to be told to put their phones away when the service begins; those who want Judaism to be part of their life instead of a break from it. If you’re not sure Judaism is relevant to you, or if you’re not sure how to make it relevant to you, we invite you to join us at 4:00 pm on Yom Kippur afternoon. Tickets are not required, and everyone in the community is welcome. 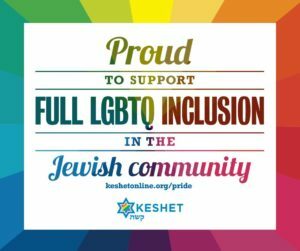 Come talk about the Jewish future – your Jewish future!